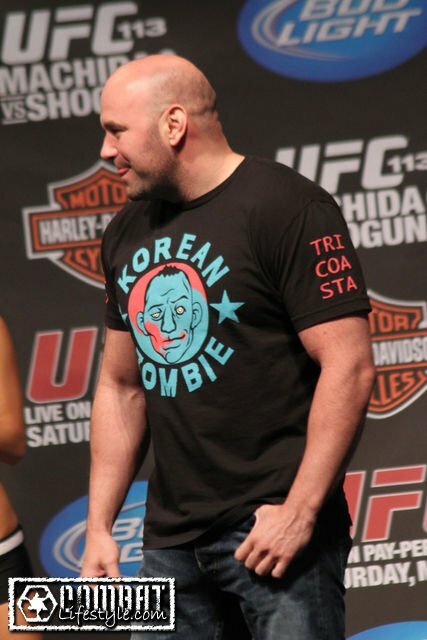 Check out the Korean Zombie Shirt that Dana White rocked at the UFC 113 weigh-ins! Become a Zombie like Chan Sung Jung when you put this shirt on! Talk trash and get someone fired with the Dethrone Team Koscheck T-Shirt! 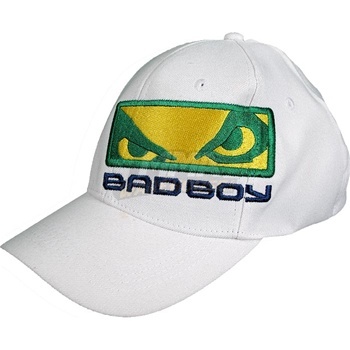 Top off the Shogun-look with the Bad Boy Shogun UFC 113 Team Flexfit Hat. Catch UFC 113: Machida vs. Shogun straight from your mobile phone or FLO TV. Time to end the Machida ERROR! Let’s take a look at the UFC Lightheavyweight Champion’s Walkout T-Shirt as he tees off with Mauricio “Shogun” Rua at UFC 113. Check out the Shogun Rua’s walkout t-shirt for UFC 113 as he gets his much deserved rematch against Lyoto Machida.